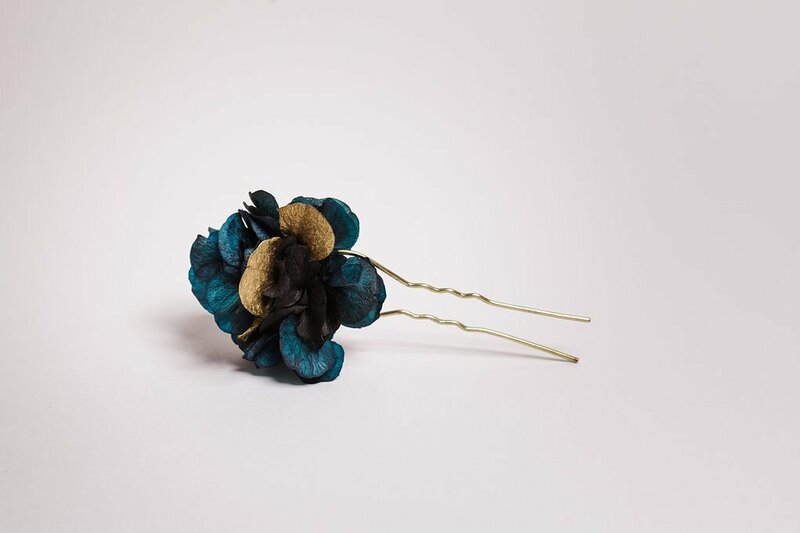 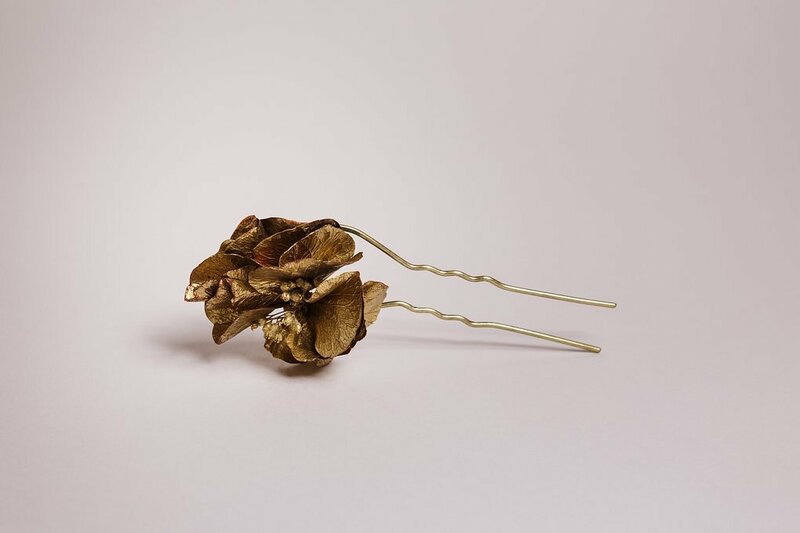 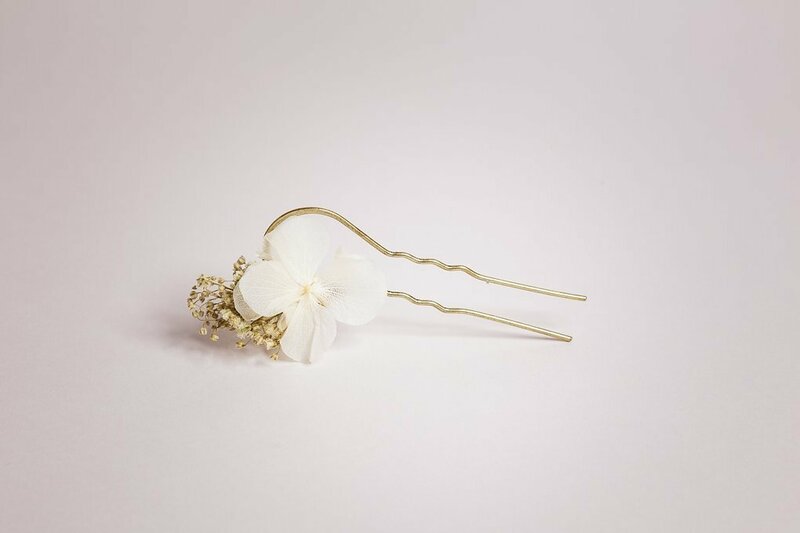 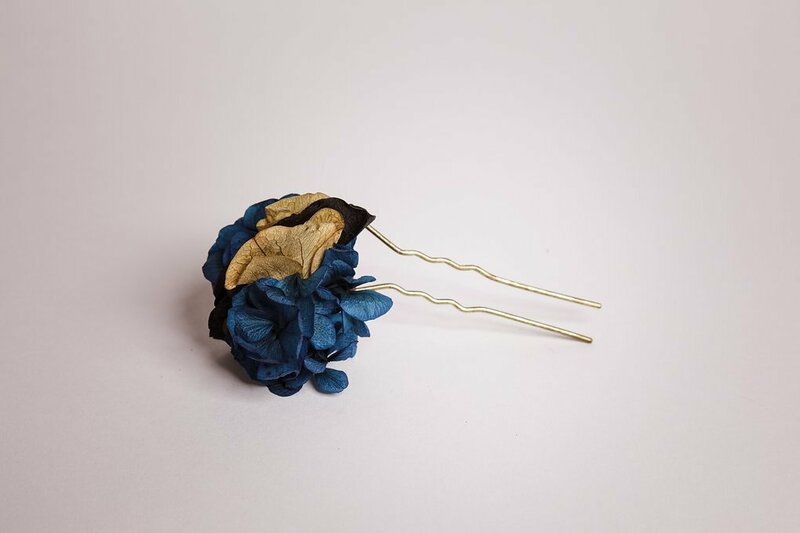 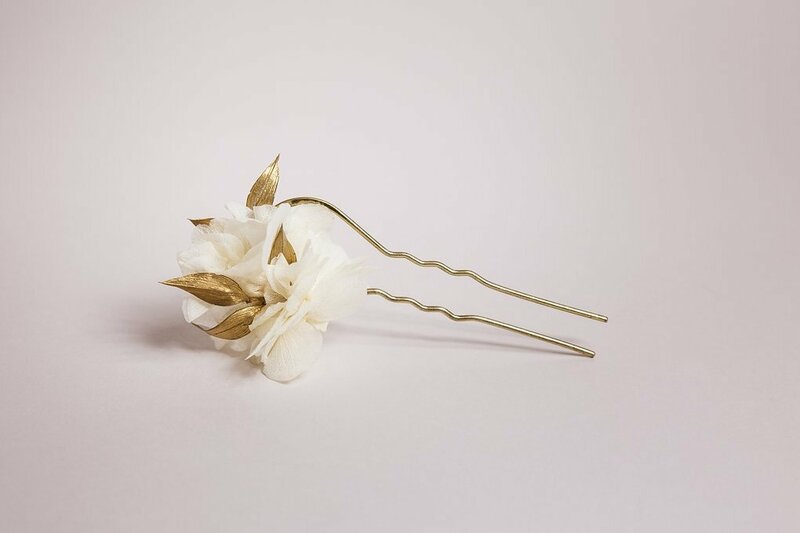 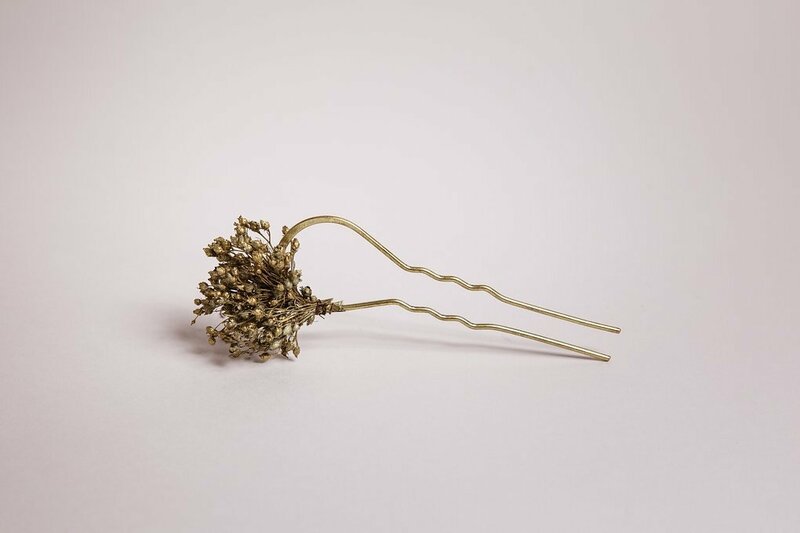 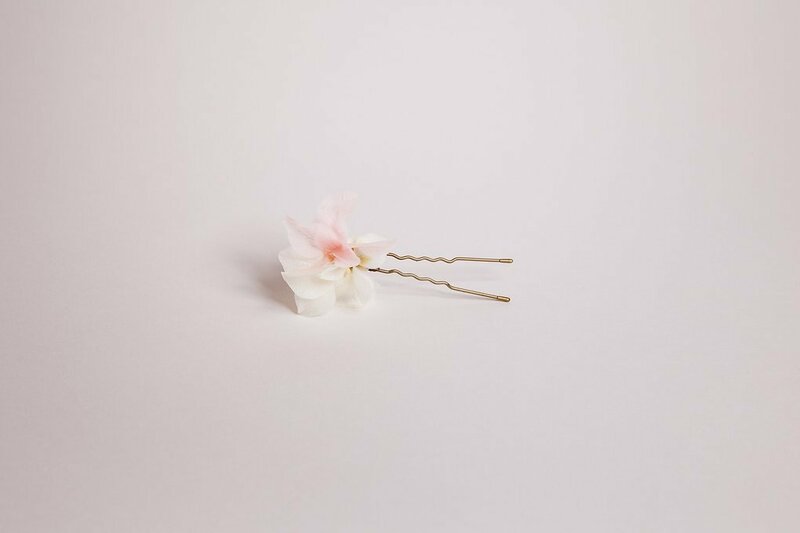 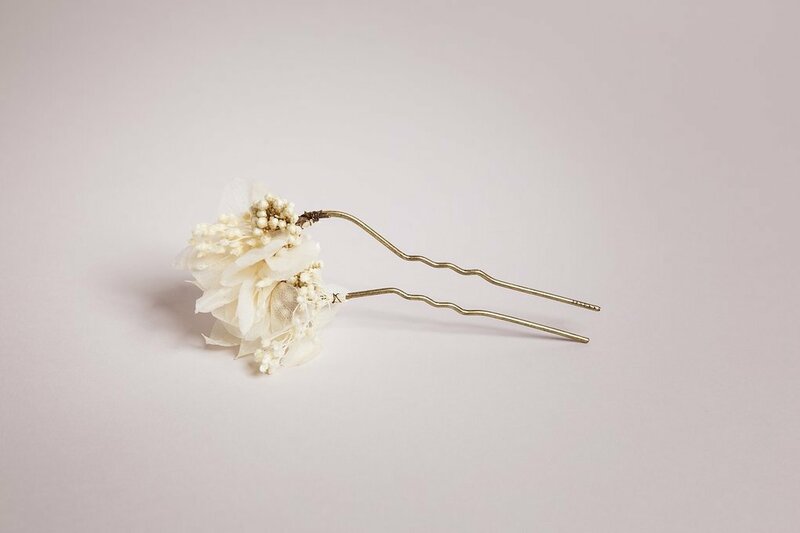 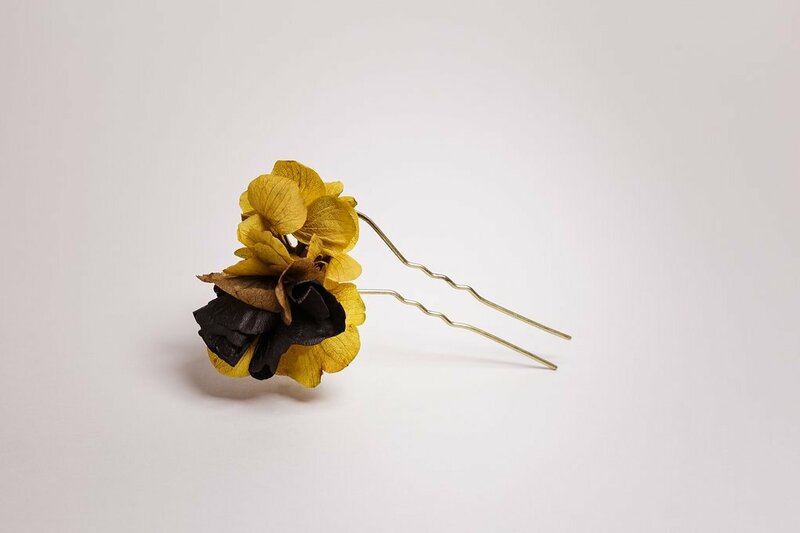 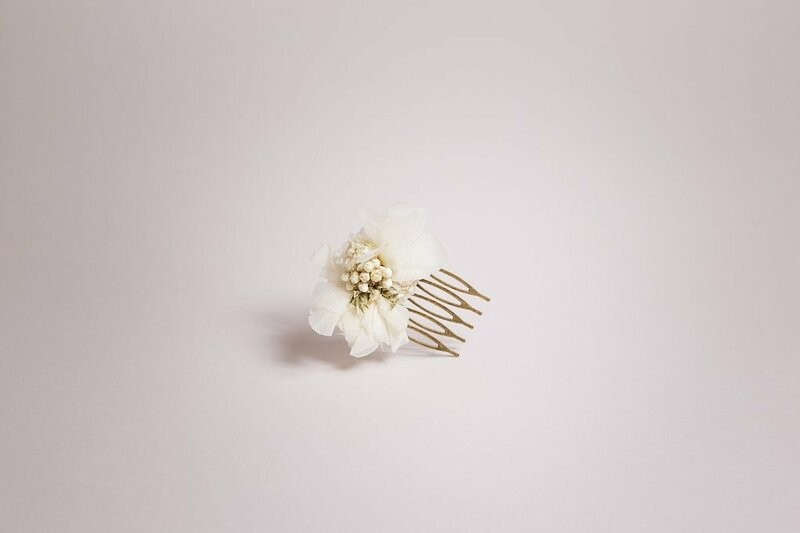 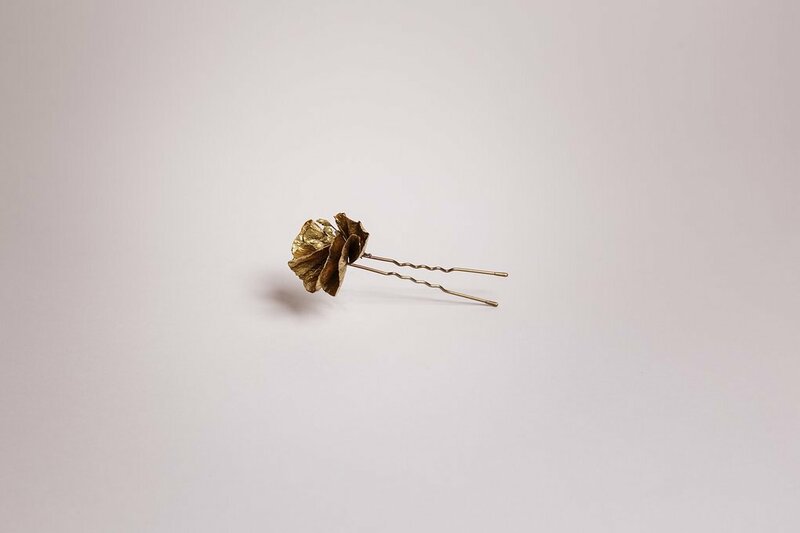 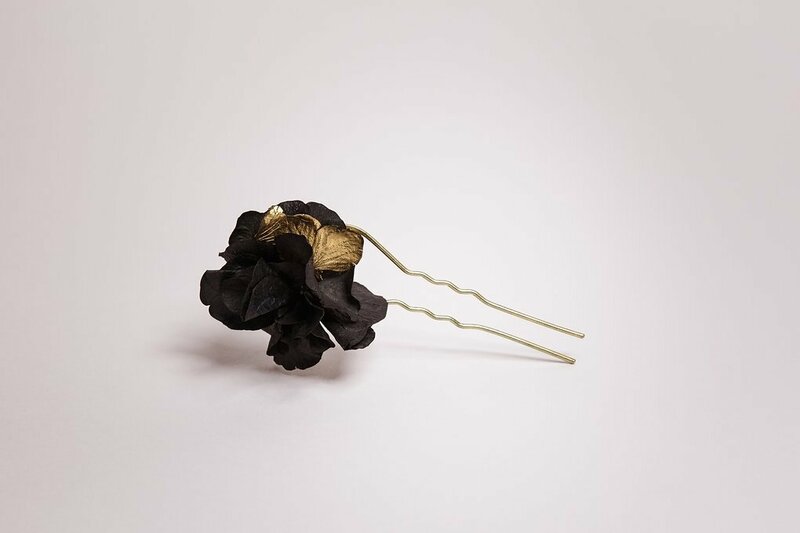 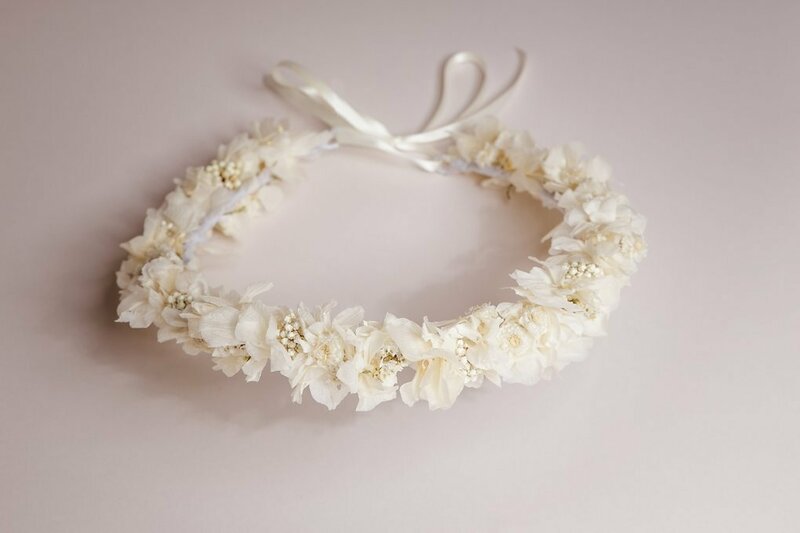 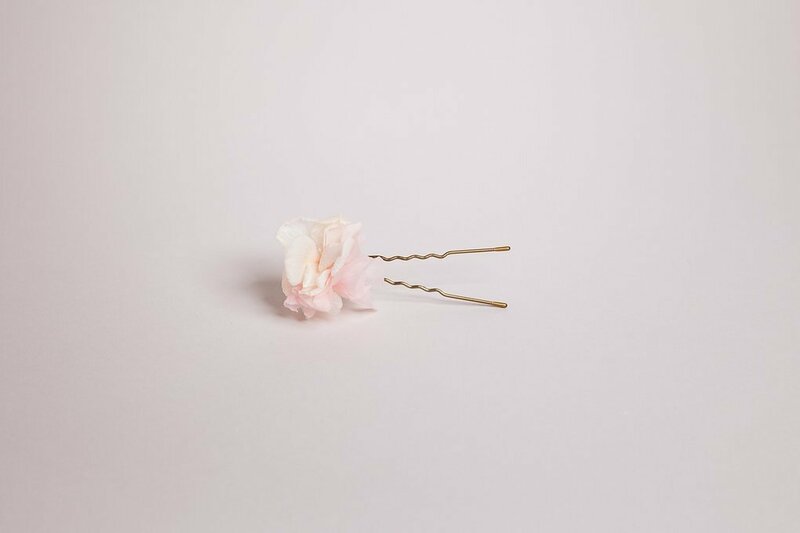 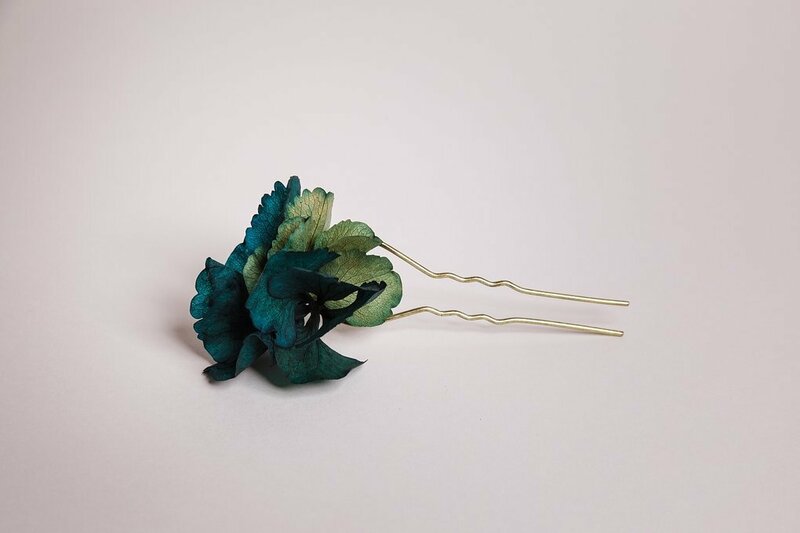 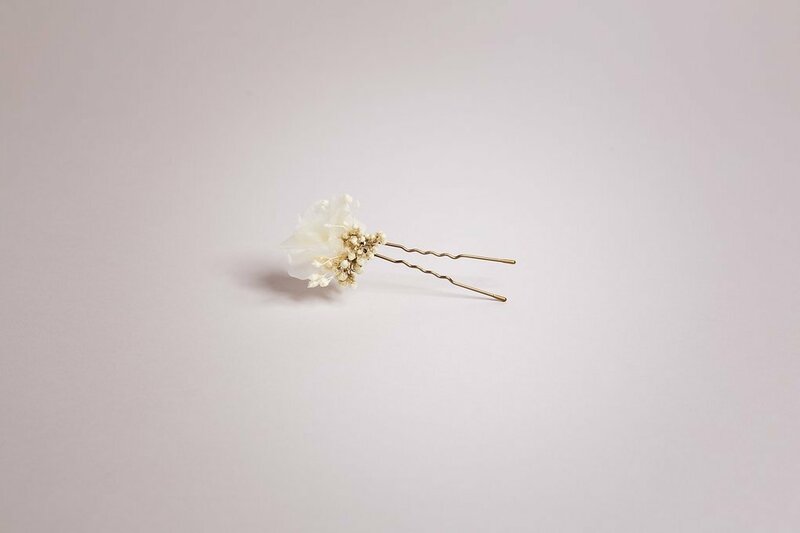 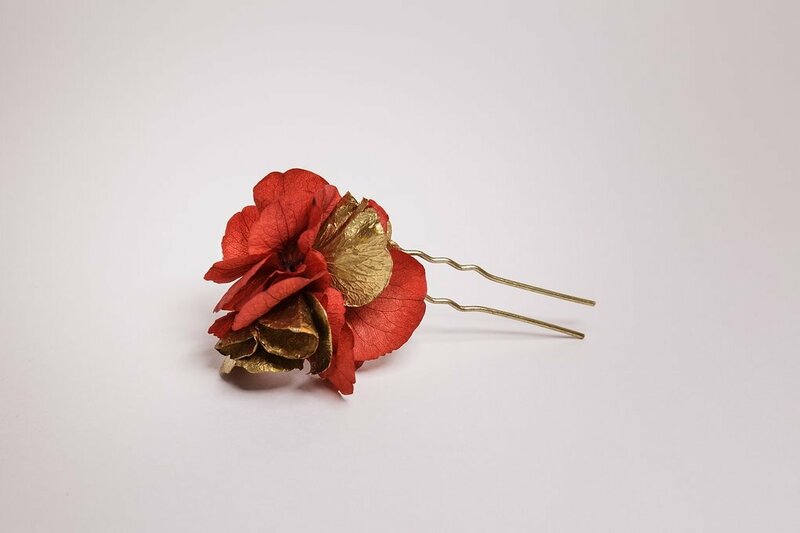 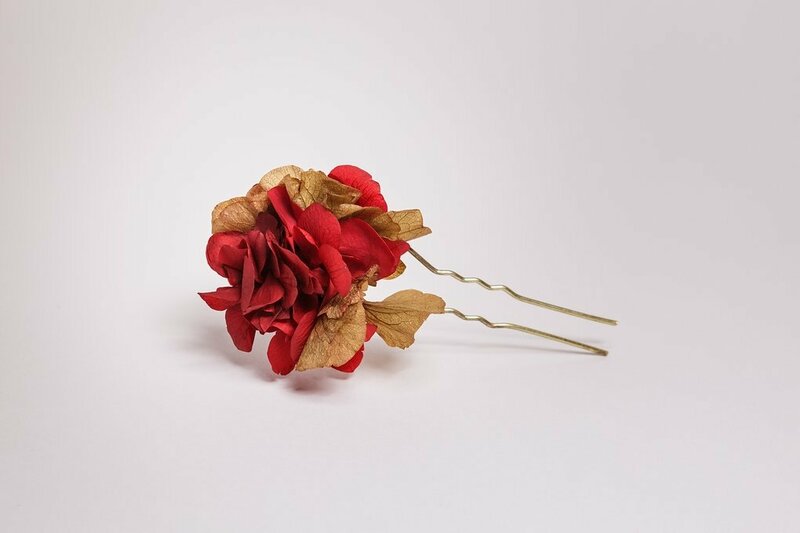 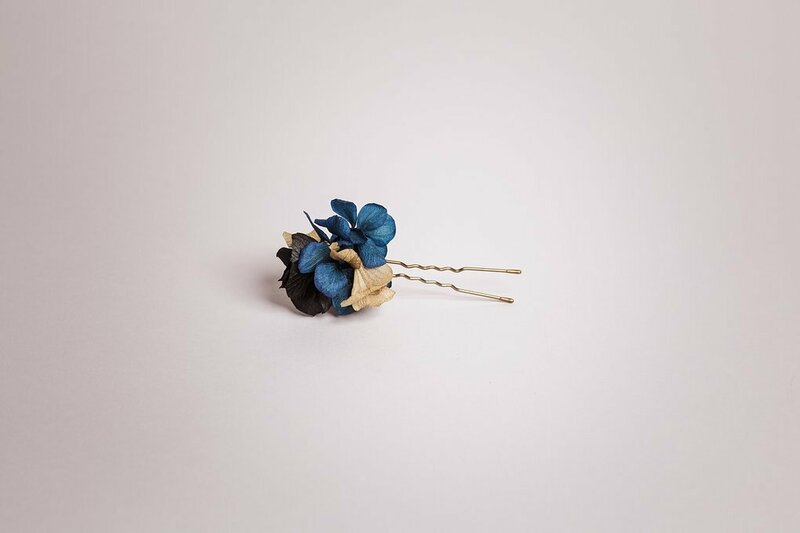 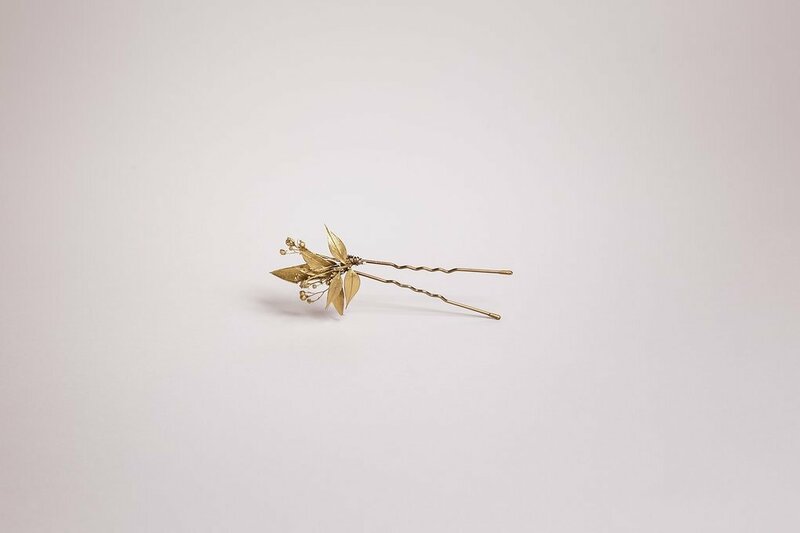 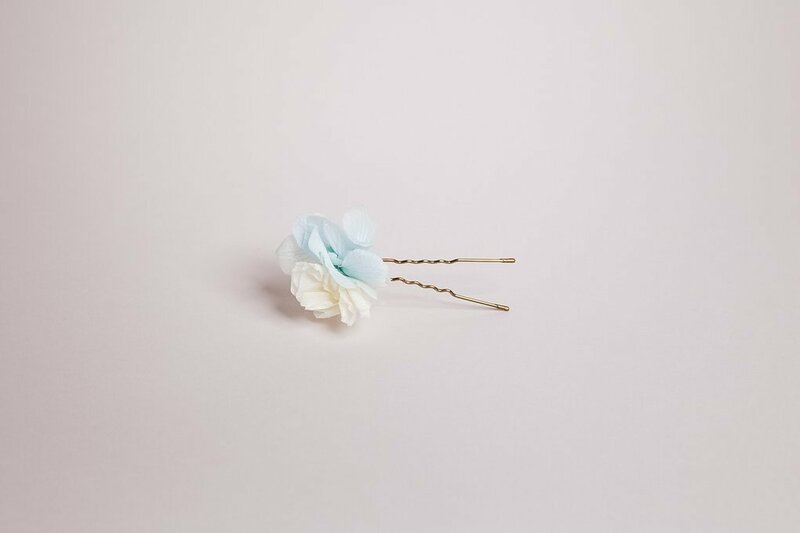 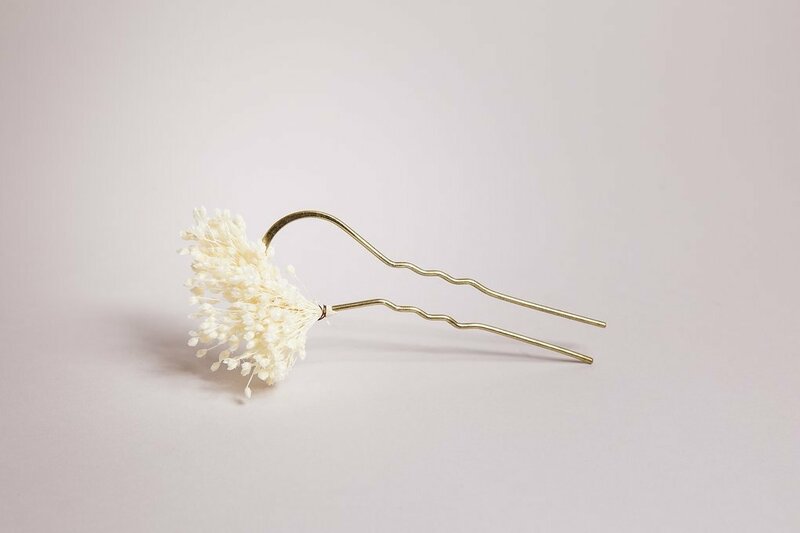 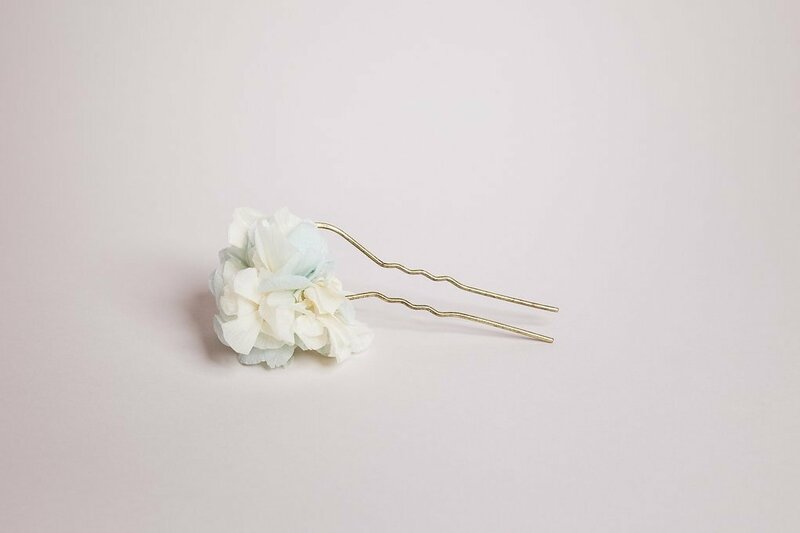 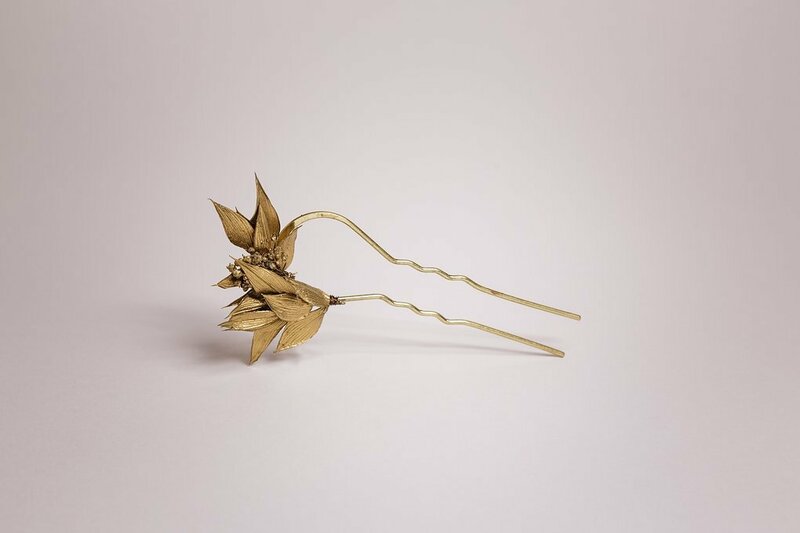 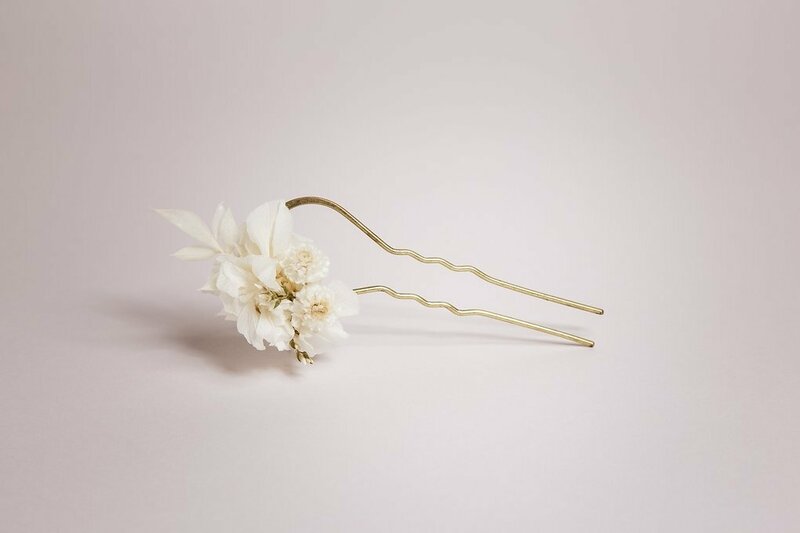 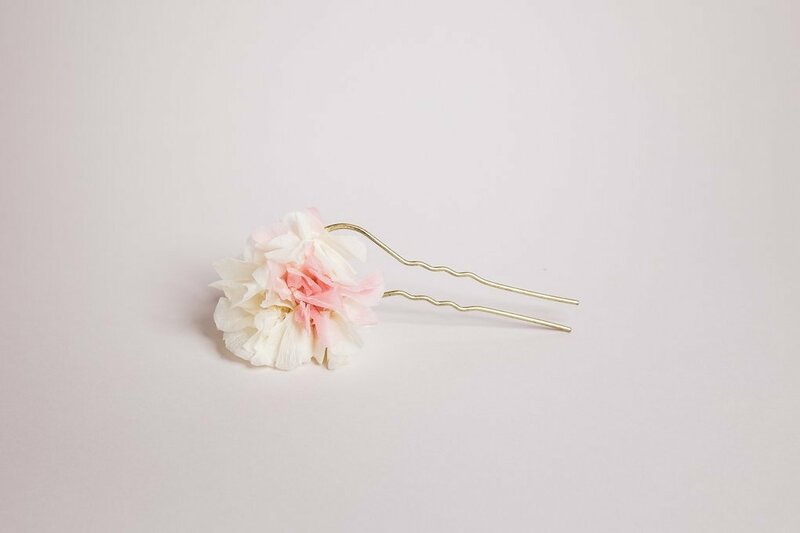 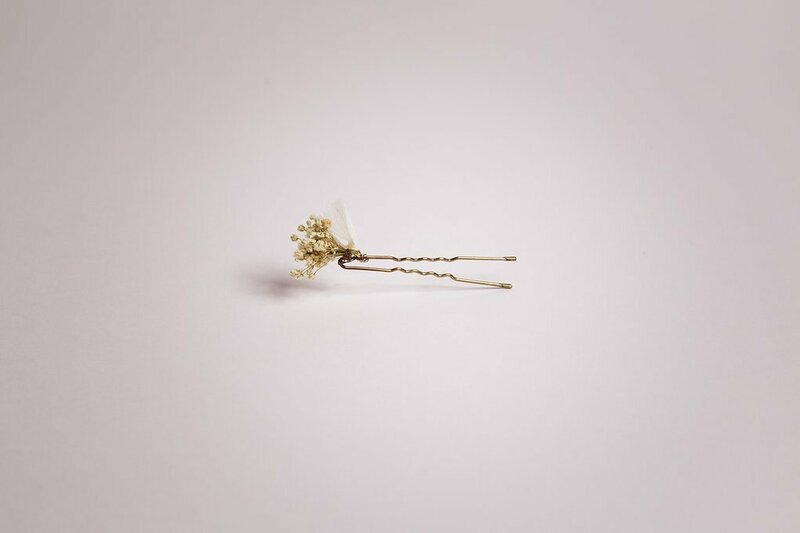 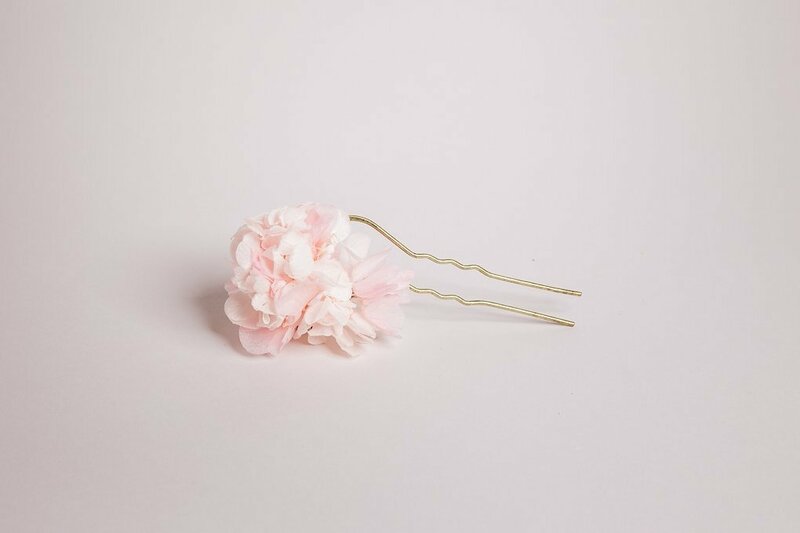 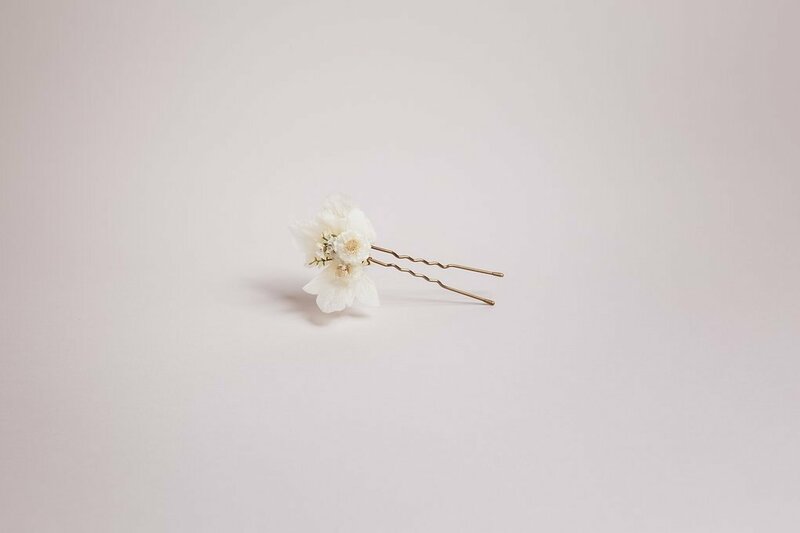 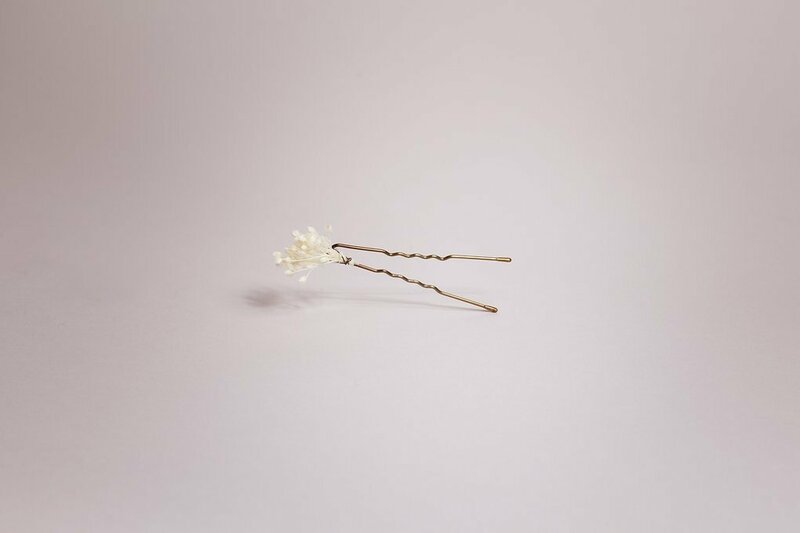 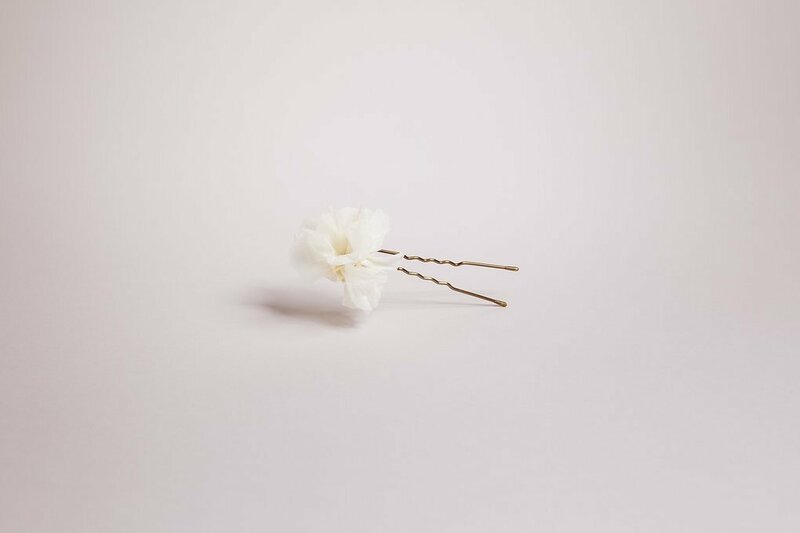 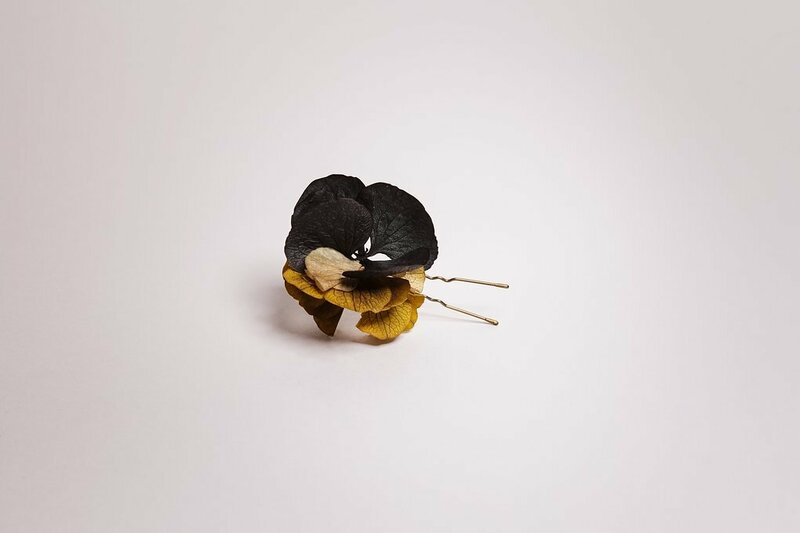 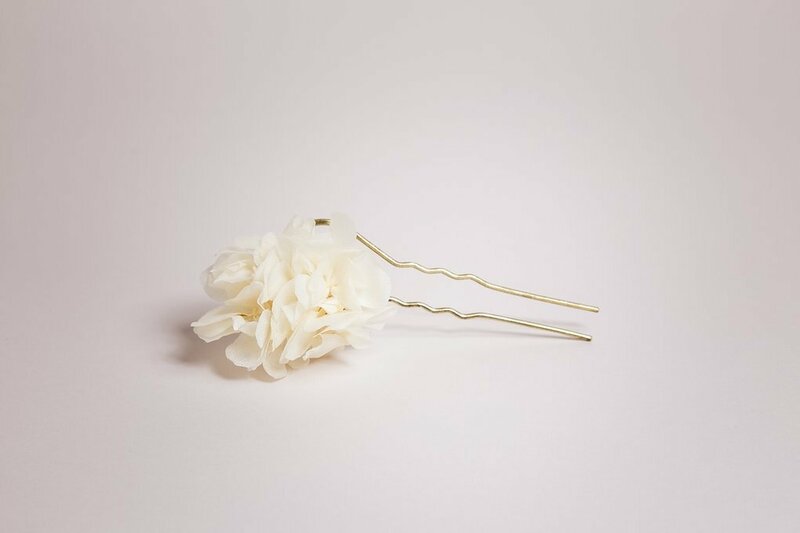 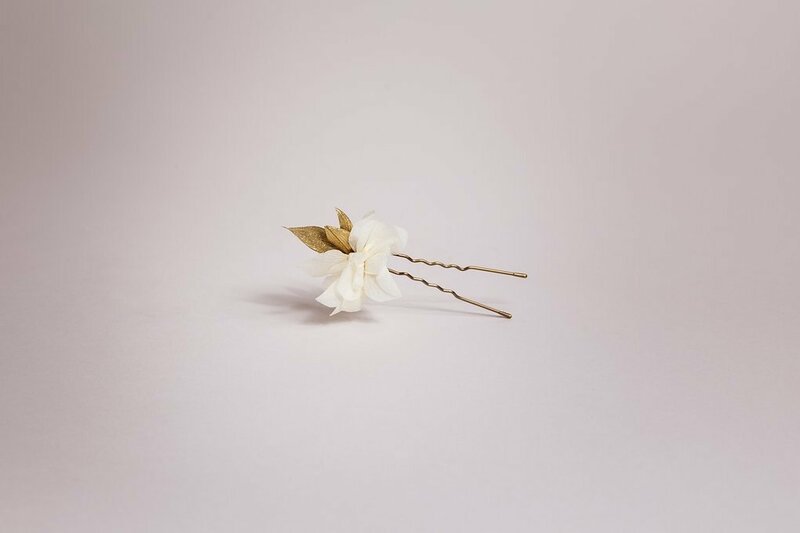 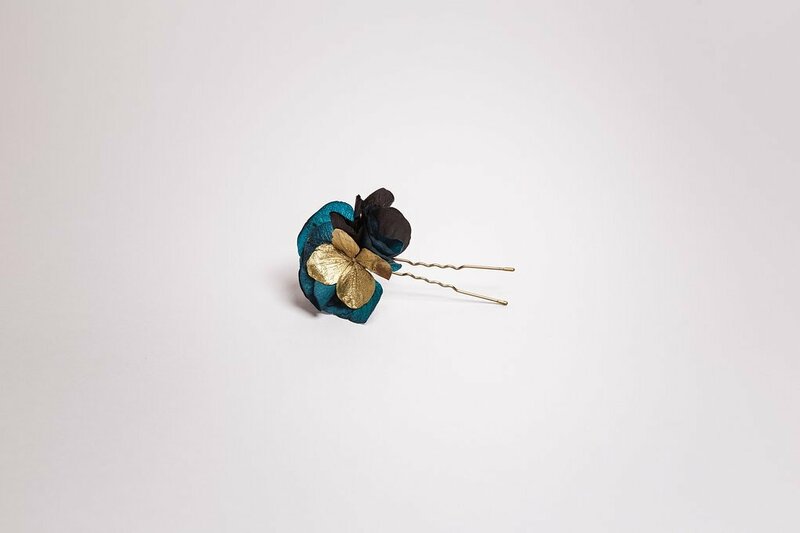 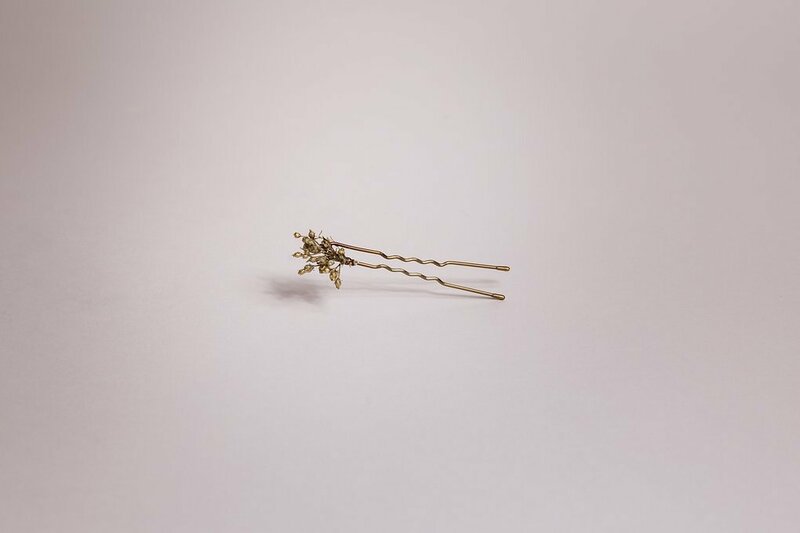 Adorned with delicate hydrangeas and fine dried flowers, the Azalée hairpin will add a bohemian romantic touch to your hairstyle. Book an appointment in our Parisian workshop with our designer to place a customized order. 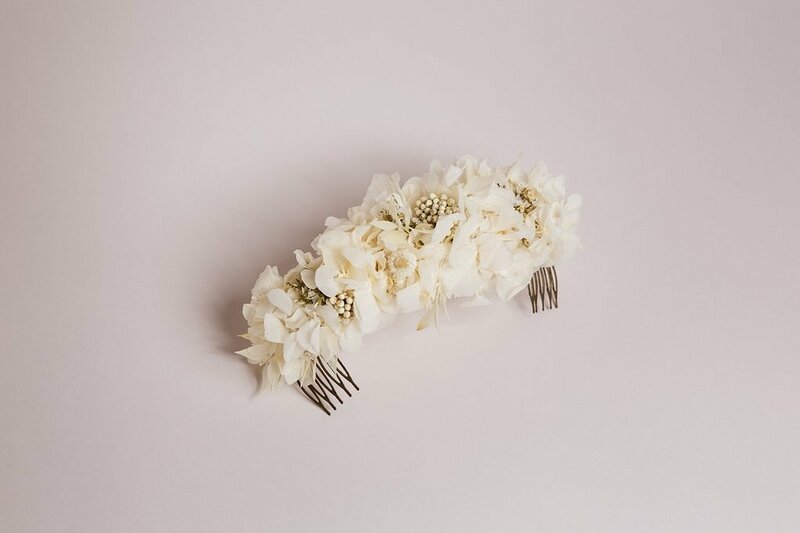 Enter your email address along with your request and we will get back to you as soon as possible! 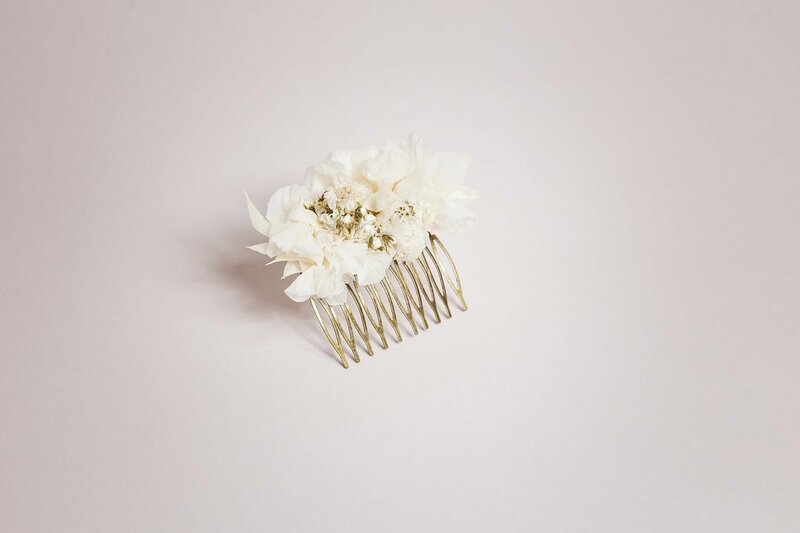 Please make sure to provide a valid email address, otherwise we won't be able to contact you. 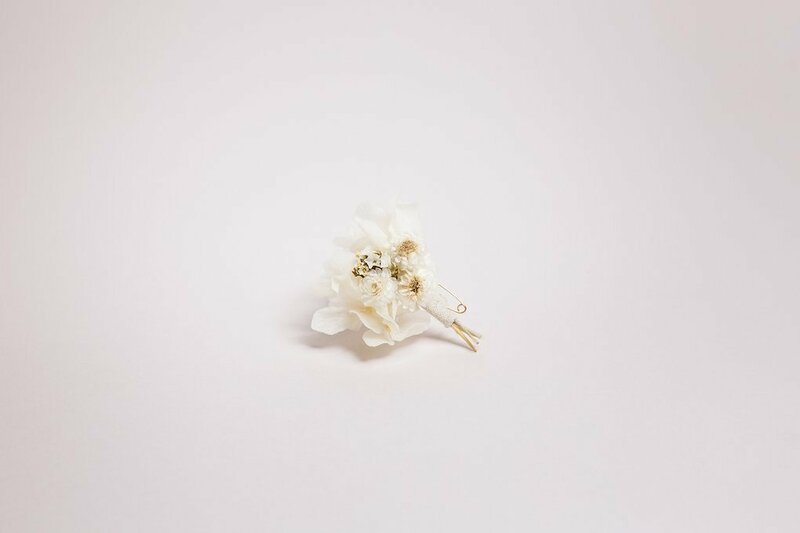 If your are making a custom request based on a piece that already exists, please make sure to let us know which one and tell us what kind of modifications you would like to make.